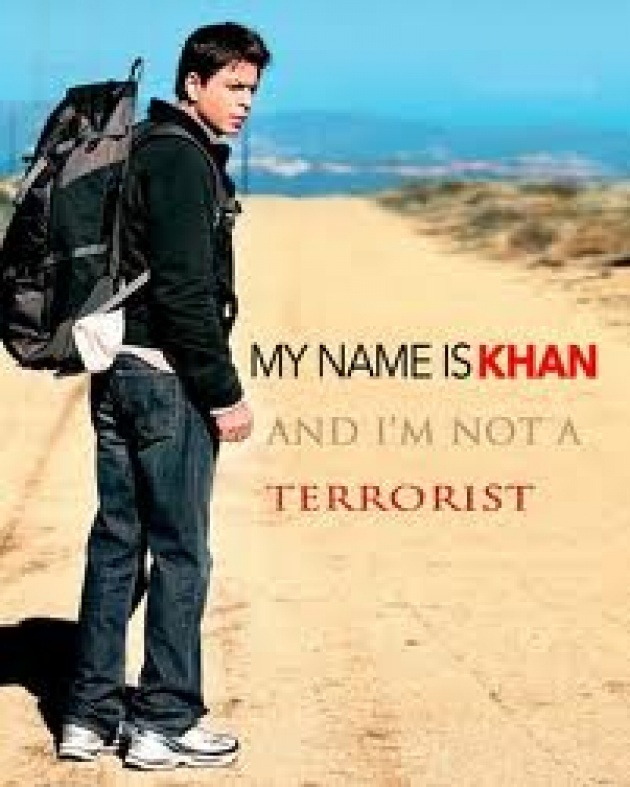 My Name Is Khan is is an Indian drama film directed by (Karan Joha).shah rukh khan is the star of this movie.Rizwan Khan (Shah Rukh Khan) is a Muslim child who grew up with his mother Razia Khan (Zarina Wahab) & his brother Zakir (Jimmy Shergill)in a middle-class family in Mumbai. He has the ability to repair any mechanical things,however he is an autistic .He has extra attention from his mother because of his sickness that leads to jealousy from his brother who decided to leave his family for a life in the united state.After the death of his mother Rizwan khan went to live with his brother in the U.S.He began to work for his brother then he met a Hindu woman, Mandira (Kajol) and got married to her . He lived with her and her son from a previous marriage.Both of them took Rizwan's last name as their own(khan).One day she lost her son and he died because of Rizwan's last name is (khan) then she told Rizwan that she no longer wants to be with him. When he asks her what he has to do to be together with her, she told him that he has to tell the people of the United States and the President that "his name is Khan and that he is not a terrorist".Rizwan took Mandira's request seriously, and tried more than once to meet the president but he was arrested and placed in a prison by police who doubted that he is really a terrorist because of his statement,then his innocence was proved.Finally,after great effort and motivation from his wife who found out her error that she have to be beside her husband, he managed to meet the new President-elect (Christopher B. Duncan) who tells him, "Your name is Khan and you are not a terrorist",so this gorgeous movie proves to all the world that ISLAM is the most tolerant religion on the earth plus do not never lose hope just do your best and leave the rest on ALLAH.